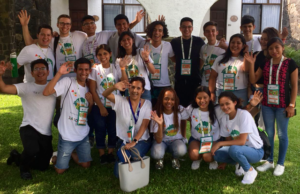 For the first ever Global Youth Forum, 400 JA alumni, accompanied by JA board members, staff and chaperones, converged at the Hotel Hacienda Cocoyoc in Morelos, Mexico from July 8 to 13, for a week full of addresses by global keynote speakers, entrepreneurship panels, team building activities, business competitions and challenges. 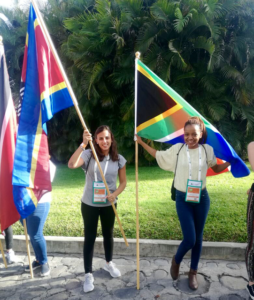 The aim was to have representation from at least 50 JA member countries. 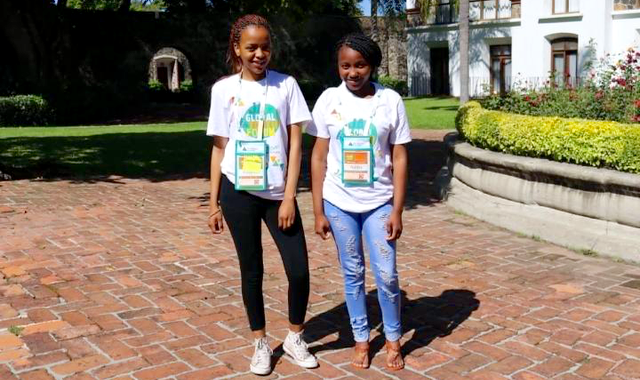 We would like to express our appreciation to Delta Air Lines for the generous grant that made JASA alumni Kata Kekana and Ashley Dhlamini’s trip possible and thank you to the JA Africa office for coordinating the grant application process! After a seemingly endless round of paperwork and traipsing to Home Affairs and the Mexican Embassy, with a nail biting wait for visas to be approved, the flight date finally arrived. 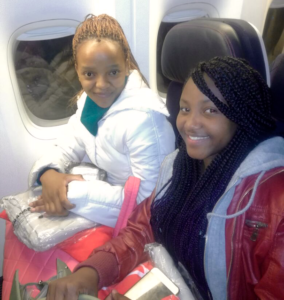 The two women climbed on an airplane in Johannesburg to embark on a 30-hour journey, with a transfer in Paris. 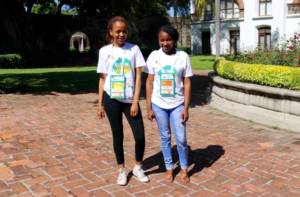 They were warmly dressed but had their summer clothes packed for the forum some 15 000 km away. 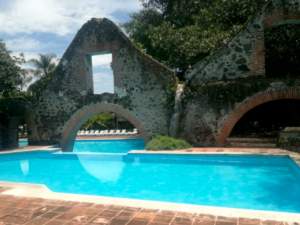 “My trip to Mexico was the most extravagant trip ever in life, it was eye-opening and life-changing. I can confidently say I’ve travelled the world because I met people from all over the world and made friends and future business partners. 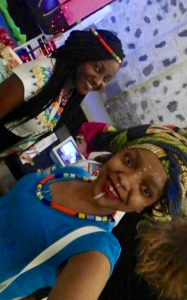 Since my trip to the Global Youth Forum, I have been thinking I want to be involved in an NGO organisation because I want to touch someone’s life the way mine was touched. I am grateful that I was given an opportunity to visit such an amazing country with caring and loving people. My motto: Get the most out of each day and each hour. Be Your best self. Dare to be different. Love with all your heart and soul. Remember that God helps those who help themselves. Forget what the world owes you and focus on what you owe the world. 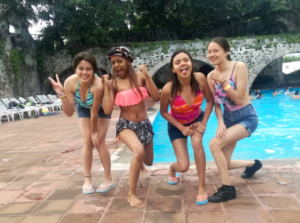 Forget what you have done for your friends but remember what they have done for you. 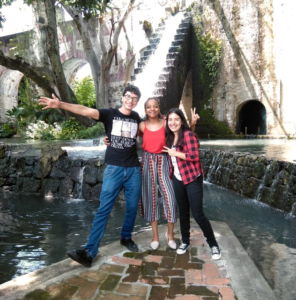 “I had an amazing experience at the JA Global Youth Forum in Mexico – actually it was a life-changing experience. I don’t think I came back to South Africa the same, I believe I came back better, fully fed with knowledge. 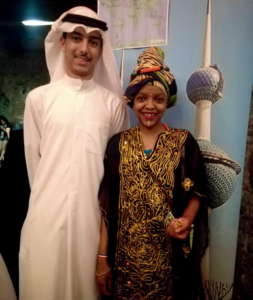 I not only got the chance to meet with different people from different countries but I also got to do some activities with them and learnt about their them, their countries and their cultures. 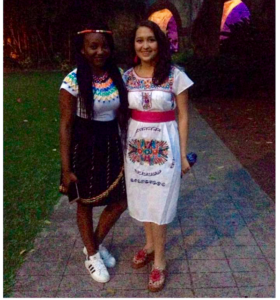 On International Night, the two women proudly wore traditional dress to showcase their cultures. The last day dawned too quickly and both felt emotional as they had to say to goodbye to all their new friends but the memory of this experience will remain. At the Global Education and Skills Forum held in Dubai in late March, Junior Achievement held a public briefing on the future of school partnerships with the private sector. 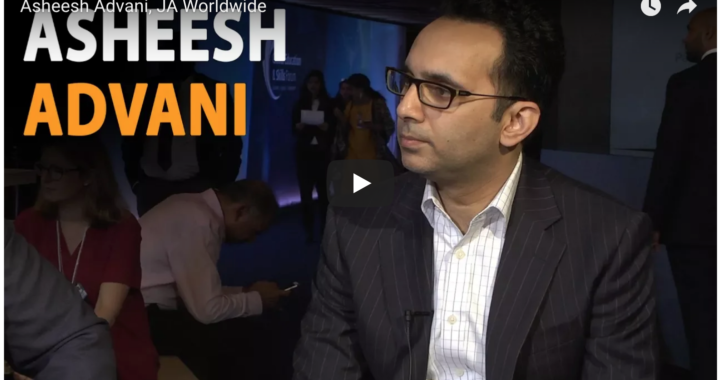 Asheesh Advani, the CEO of JA Worldwide, was interviewed by Raj Kumar, President of Devex, at the conference. Advani explained that over the nearly hundred years of JA’s existence, programmes have historically been created by JA and then run in various regions as JA set up local operations, with JA currently being active in 118 countries. However, he commented that to achieve the ambitious Sustainable Development Goals (SDGs) – particularly goal four on education and goal eight on economic growth and job creation – entails not only reviewing the JA model but also the way JA interacts with other organisations. 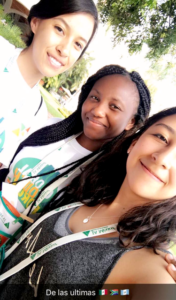 With the growing importance of Science, Technology, Engineering and Mathematics (STEM), JA Worldwide has begun to look at cultivating relationships with partners that already have good programmes in this field and then disseminating them through the strong JA networks, which will allow for faster expansion, rather than taking an approach of developing these programmes from scratch. Advani further commented that JA has “spent decades building distribution into school systems” and thus has long-standing relationships with the key stakeholders in the education system, from the minister through to the regional heads, principals and teachers. This is an invaluable social asset to bring to partnerships with organisations struggling to get their programmes into schools. The reverse can also be true, where JA can leverage off local organisations’ networks. 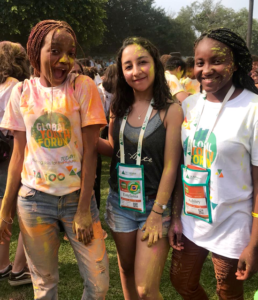 An example is a partnership in India with a foundation that provides leadership courses to over three million children while JA’s footprint in this country has only been around 60 000. Through a collaboration JASA can now increase its reach exponentially. JA South Africa is also assessing how to form strategic partnerships in order to expand in an elegant and efficient way. If you don’t use email please provide a cell number for What’s App or SMS updates. 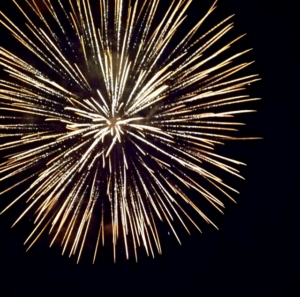 We promise not to share your information with any third party.